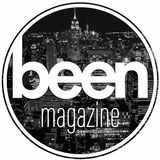 Been Magazine: stories of people doing what they love in the places that they live. People + places. Artists + designers. Architects. Photographers. Makers. Doers. Wanderers. People who dream big dreams and small dreams. People who love where they are, what they are doing or where they are going. Issue number one, Spring/Summer 2019 NOW AVAILABLE IN PRINT ONLY!